Okay. I know we are tennis fanatics one and all, but having sometimes contributed to posts in the past on football related threads, I thought it might be good to have an actual members club where we could discuss our teams, countries, particular leagues and divisions, Champions League, EUFA cup, fave players (past and present); basically, anything on football (or 'soccer' as it's known to you Americans and Australians) and your team... your hopes, thoughts, frustrations, triumphs, etc, etc. Annnnyway... how have other people's teams been shaping up pre-season?... are you feeling confident? but though I follow CL and UEFA,I have given up watching the regional championship because I am sick and tired of the hooligans,the bad quality and the teams winning championships in courts!I barely watch anymore the team transfers etc,and only watch the big derbies.So,sorry but can't contribute any more. Oh btw,I also support Barca,and Juventus. How's the team shaping up? Dismally. Enough said. btw, I also support Barca,and Juventus. Short and to the point... like it!... BTW, Do you want to join up Jonny? We didn't get Ronaldinho, his loss. Ofcourse! I'll post more thoughts later, once the pain of europe has subsided! I'm very happy! We've not had a settled right back for years but Bosingwa has every chance. Deco is just what we need to add a bit of finesse, we've still got the power, pace and efficiency that makes us brilliant.. but now we have a bit of flair to break teams down too. Anelka is also on fire, scoring 4 in a 5-0 win against Milan says alot. Di Santo also looks like he can be a world class striker in the next few years, the midfield is the strongest anywhere in Europe (I think even Man Utd fans have to admit to that) and we still have a fantastic defence with Ivanovic (the new Vidic apparently) able to play anywhere so i'm happy. Who are people backing to get the 5th spot/possibly break into the top 4? I'm thinking Aston Villa.. they've really sured up the defence and with Agbonlahor, Young, Carew etc.. grabbing the goals, Reo-Coker and Sidwell in midfield.. they probably have the best first XI of the rest but i'm still not confident they have a deep enough squad to cope for a whole season. First i would like to propose not to use the word soccer in this thread, i do not why but find it very annoying. "Come on then!... Calling all you AC and Inter fans!... Barca and Real supporters!... Bayern supporters!... Ajax fans!... Marseilles lovers!... Wherever you are in the world... whoever you are... THE TALK TENNIS FOOTBALL CLUB NEEDS YOU!!!... come and join!" I like Chelsea and Bolton.....and I dislike C. Ronaldo with a passion(not saying he's a bad player). Seeing him on tv is like watching Roddick volley. Not fussed with the lack of signings, although an out and out striker like Huntelaar. Other then that, the squad is fine although I'd rather have someone who pwns like Hamit Altintop than Fletcher or O'Shea as a midfield option. "Wherever you are in the world... whoever you are... THE TALK TENNIS FOOTBALL CLUB NEEDS YOU!!!... come and join!" Those comments from Mourinho were pretty funny yeah. Liverpool have a great team, there's no doubt about that. Not as good as Chelsea and Man Utd but they are catching up. The thing that is stopping them though is the manager, he doesn't have what it takes to be Champions of England, stick him in Europe and he's magnificent but not for the league. Also the players don't know what it takes to be Champions, when they are up for it they are brilliant but they have, and still have, the tendency to lose the games that you need to win to be Champions. Can you imagine them up against a team with 11 players behind the ball like Man Utd and Chelsea have to break down every week? They couldn't do it, especially towards the sharp end of the season if they are still there or there abouts. I see Ruud Gullit has resigned having been coaching an LA Galaxy side that hasn't won a game in 2 months. WTF is going on out there with all that money spent/blown on Beckham?... I thought the Galaxy were meant to be like the iconic, pin-up American team?... what a mess! Finally, I have to say exactly the same thing re Manchester City and the increasingly dire looking situation with their owner, Taksin Sinawatra (Sorry if I've spelt that wrong.) And reports here are making out Mark Hughes has threatened to quit if players don't stop being offered/sold behind his back. It really brings home all the concerns re the unregulated procedures that permit such figures to own and run football clubs. i like Atletico de Madrid in La Liga. 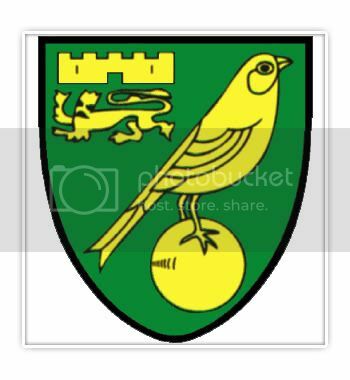 PMG - (the mighty) Norwich City. lol. Out of the Carling Cup to MK Dons, lost our first league match too. I can see it's going to be a long season! Welcome to our new squad members. Please feel free to post here about your football-related thoughts. 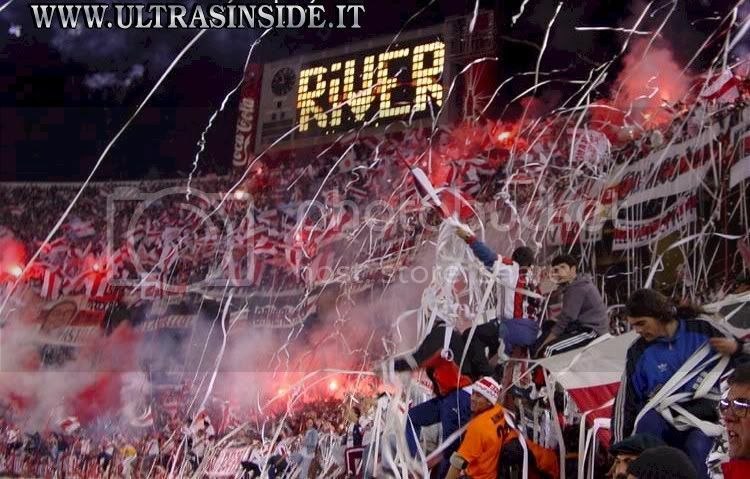 And to diegaa, representative of the legendary River Plate, this photo is for you! The dream really does seem to be turning sour over in California? hey, football fans, where will you find a better crowd? Ross K, please note that Norwich City are in the Championship, you're being a little premature with your assumption of League 1! Random Guy, River Plate (Argentina) signing up! I support Chelsea, even though I'm not english nor do I live in the UK. I am, however, living in Mexico for the semster, where I hope to find a bunch of Man City, ARSEnal and Spurs games here on TV because of Nery Castillo, Carlos Vela, and Giovanni Dos Santos are all living gods here in Mexico (especially the later two) and hopefully I'll find a good place to watch Chelsea as well. I hope we have a good season, and we pick up atleast one more player before the window closes (If there is a god PLEASE help Chelsea sign David Villa). Bosingwa and Deco (if he can find his form) look to be great, and I hope we can do well this year. I'm also curious as to why we havent used Ivonavic at all yet we don't let him go off to Milan....Scolari probably won't use him, so why not loan him to Milan and let him get match practice? I'd join a fantasy league, I also have an account on the Premier League site, so if we get more people it'd be cool to have a TTW league. ....I'm also curious as to why we havent used Ivonavic at all yet we don't let him go off to Milan....Scolari probably won't use him, so why not loan him to Milan and let him get match practice?.. It actually looks like we're sending him off on loan for this season and Milan have the option of buying him at the end of the season which I think is crazy. He was brought in January and didn't play because of came from Russia where the season was over and he was unfit. He's the new Vidic so to let him go without even playing a single competitive game is absurd. But my favorite team that people dont call me out on because they "win all the time" is FC Seoul. Welcome to our new squad members (in italics.) Please feel free to post here about your football-related thoughts. If there are any of you out there, it would be great to have Juve, Roma, AC, Inter, Lazio fans, etc here on the squad. As someone who grew up with Serie A when they 1st showed it here in the UK on Channel 4 some yeas ago every Sunday afternoon - when it was probably the greatest league in the world - the days of Baresi and Baggio - I've kept up a respect and interest for the game over there, and would be interested to hear what's happening now... who the are the new young stars to look out for?... who might battle it out for the Serie A title?... who looks good in The Champion's League?... the national team now (as good as the lot above ^ ? ), etc. Is Giovanni Dos Santos really that good? Exactly how would you describe him as a player? BTW, I'm a Tottenham fan you see! Gabriel Batistuta is probably my favourite centre forward of all time. Taken before one of the champs league games last season. To be completely honest I know very little about his game. He played second fiddle to Bojan Krkic last season and didn't feature much. But what I have seen of him I've come to view him as a Ronaldinho-esque player who kind of floats between the strikers and the attacking midfielders. He's fairly quick, is a bit flashy (he was tipped as the next Ronaldinho back in his Barcelona days) and tends to try to be C. Ronaldo or Ronaldinho and fake defenders with fancy footwork. His main weakness is just that, and he tends to take too many shots. When on form, however, he's great, just watch his last game with Barcelona at the end of last season. He scored three and set up another one and just flat out dominated on the pitch. Join up now, the Week 1 deadline is tomorrow afternoon! Great pictures there. And nice one with the Batistuta vid. Er, it was me enquiring about Dos Santos. Cheers for the reply. BTW, Good luck with your fantasy league venture. No problem. It should be very interesting how he lines up with Modric and Bent and the rest of the strikers. I'll be watching very closely come Sunday morning. Who do you guys play against? We're home at the Bridge against Hull City, I believe (I'm probably wrong!). Interesting, however, is that you have Arsenal pretty early this season, should be a great match, and if I can't find it on Mexican TV I'll eat my own head (probably won't have to, however, the two hottest properties in Mexican football up against eachother in one of the biggest derbies in football HAS GOT to be on Mexican TV). Sorry man couldn't resist, I don't mind Rangers, they've got an American playing for 'em. Shame Cuellar had to leave though, he was great! 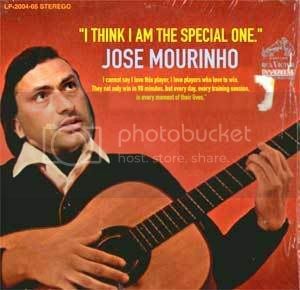 Platini is a fool, there is only one true king. BTW, Good luck ppl this weekend if your team is playing. Maurice Edu from Toronto for £2.7m confirmed pending a work permit. I wonder what will happen if Ramos has the same start as Jol did last year, which is quite possible considering the way Spurs played today. What is up with Liverpool's away Kit, they look like a bunch of janitors with that boring gray. Can't wait for the games tomorrow, common UNITED!!!!! The green one is just as bad! It's funny though, their new home kit is the nicest around imo. 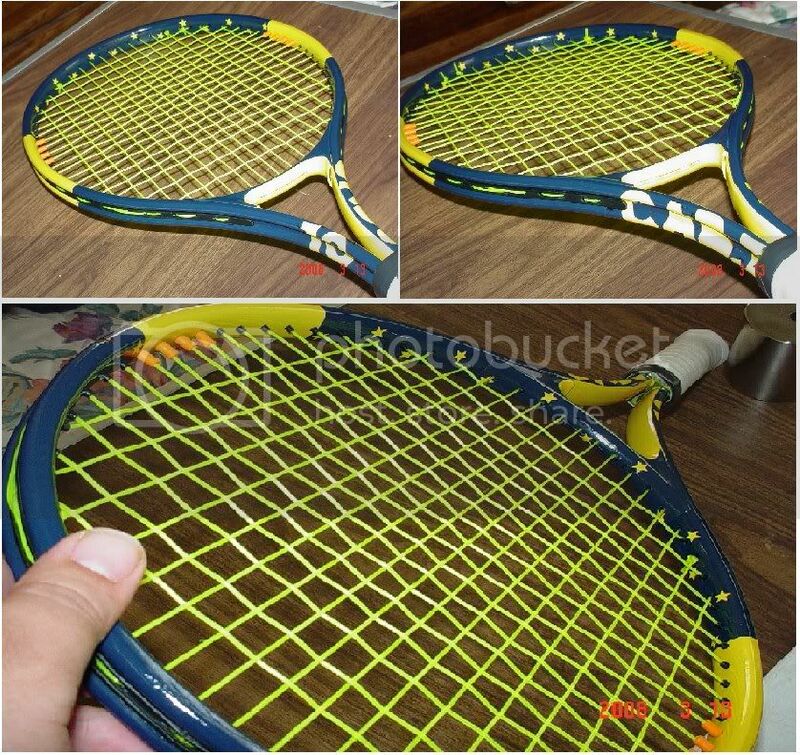 The colour is much better than the old one it's simple but fitted so it's classy. The grey and green ones though? Awful aren't they! Chelsea were awesome today! What a display! Bosingwa was absolutely magnificant and as for their other new signing, Deco, all I can say is :shock: What an absulutely incredible goal! The pace and power is still there but the artistry, movement and creativity was mind blowing. Portsmouth didn't play that badly as such, when we let off a bit in the second half we saw Portsmouth create some chances and looked decent. The first half though, they just weren't given the opportunity to do anything.. We were unplayable. Oh please, Portsmouth played like crap, droopy Redknapp has made an error in selling a wicked midfielder like Muntari in favour of useless hatstand like Crouch to hoof long balls to (with which he doesn't know what to do).